Lt. V. Rhodes of the WAAC at Fort Oglethorpe, Georgia, 1943. Women in uniform have always an appeal. She is so amazingly beautiful. The uniforms were meant to be professional, feminine, attractive, and functional. Women were encouraged to be feminine (like wearing red lipstick) for morale. The Women’s Army Corps (WAC) was the women’s branch of the United States Army. It was created as an auxiliary unit, the Women’s Army Auxiliary Corps(WAAC) on 15 May 1942 by Public Law 554, and converted to full status as the WAC on 1 July 1943. Its first director was Oveta Culp Hobby, a prominent society woman in Texas. About 150,000 American women eventually served in the WAAC and WAC during World War II. They were the first women other than nurses to serve with the Army. While conservative opinion in the leadership of the Army and public opinion generally was initially opposed to women serving in uniform, the shortage of men necessitated a new policy. While most women served stateside, some went to various places around the world, including Europe, North Africa, and New Guinea. For example, WACs landed on Normandy Beach just a few weeks after the initial invasion. The WAC was disbanded in 1978, and all units were integrated with male units. 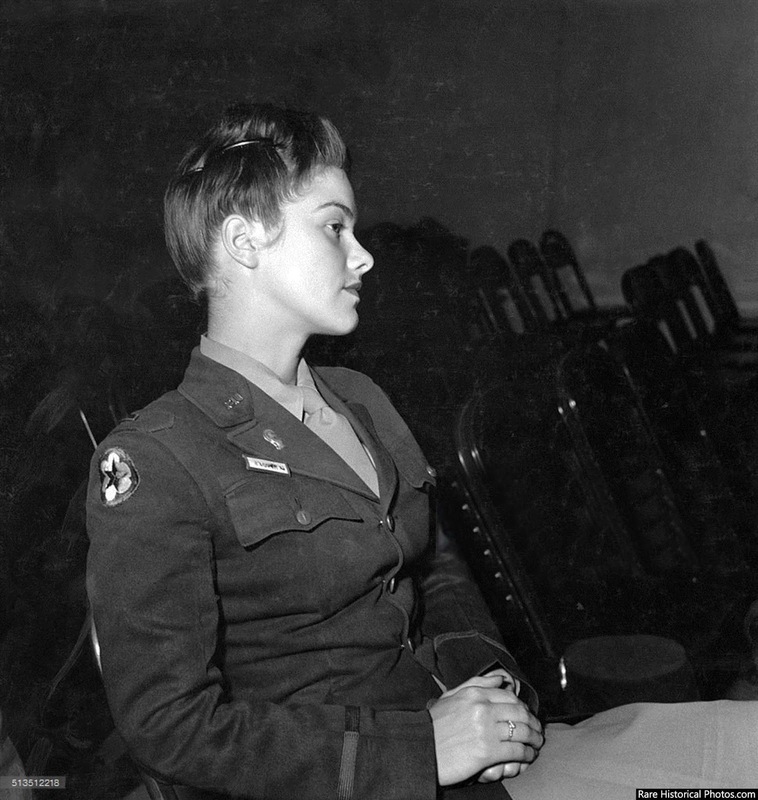 Women serving as WACs at that time converted in branch to whichever Military Occupational Specialty they worked in. Since then, women in the US Army have served in the same units as men, though they have only been allowed in or near combat situations since 1994 when Defense Secretary Les Aspin ordered the removal of “substantial risk of capture” from the list of grounds for excluding women from certain military units.